You probably have a Gmail account. In fact, according to worldwide statistics there’s a good chance you have more than one of them. Google has announced that Gmail now has more than 1 billion monthly active users – up from the 900 million the company announced last year and up from 425 million 2012. It’s a no- brainer why Gmail is on fire right now. Its app has over 90.7 million monthly users for a reason. It’s an easy to use interface which is well integrated with cloud storage, making file sharing easy (Google drive), offers great work-collaboration opportunities (Google Docs) and has countless other features from Google Spreadsheets to Google Slides. Statistics even show that 94% of Gmail users use the integrated translation services in their Gmail account. However, while Gmail has made it big, they have really not done justice to PC users. Considering that Gmail makes up over 85% of all global users worldwide, you may find it odd that there is no official application for Gmail for windows. There is indeed no way for a Windows user to manage accounts directly from a PC and there is nothing in the app store that presents this function. This is the least bit convenient for businesses, self-employed workers, people who work out in the field or in-office using Windows products. Logging into Gmail from the web is a pain, especially if you have multiple accounts to tend to throughout the day. That’s why more and more people are using Mailbird. 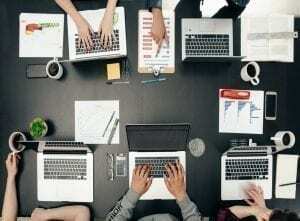 It is the perfect solution to managing Gmail for Windows users. Mailbird makes juggling all of your Gmail accounts (and every other account you have) easy. It brings them all together into one beautiful and lightning-quick app. 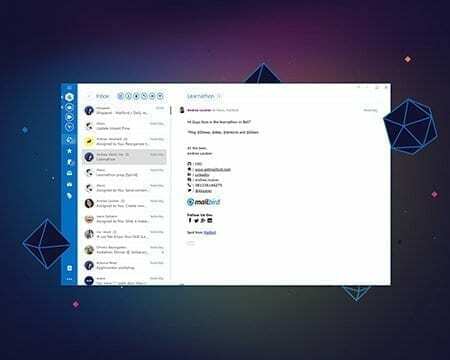 Plus, with an intuitive and easy to use interface, Mailbird makes it simple to view multiple email accounts under one tab on Windows devices. You can’t always be connected to the Internet. But, that shouldn’t stop you from checking your emails and composing replies effortlessly.  The world is moving too quickly to miss out on important email threads – especially if you work in time sensitive environments. In some fields, responsiveness is extremely important – to close that deal, to fix that bug in the system, or to make important arrangements. That’s where Mailbird comes in: Read through any messages from all your Gmail accounts, even when offline with Mailbird’s auto-sync function. This allows you to see your emails as quickly as possible so you can manage, respond, delete, etc… all without a connection. Then, when you do connect to the internet at a later time, Mailbird auto-syncs your accounts again so you consistently stay up-to-date with changes in your mailbox. Never again find yourself left in the dark just because you can’t open your emails. No more logging in and out of Google accounts just to check your messages! Mailbird does all the work for you. 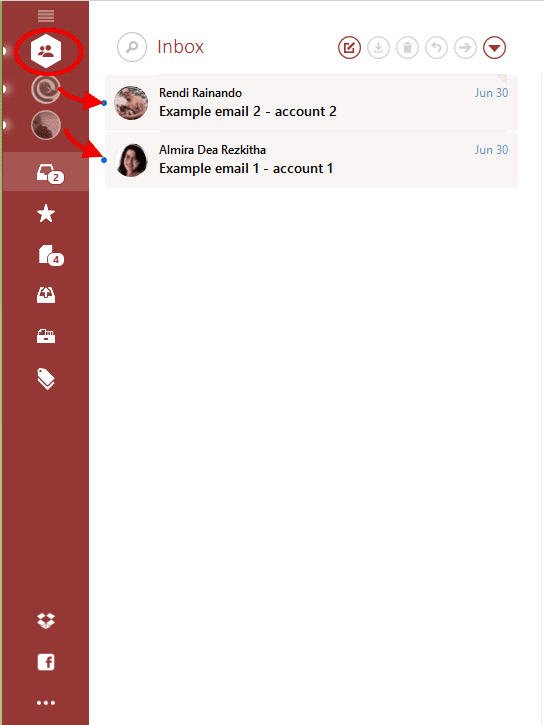 You can also easily respond or compose new messages as any account with our quick functions like quick compose. Other useful functions include: Search by attachment, search by profile picture and LinkedIn Lookup which easily lets you retrieve information and connect with professionals. Here’s a scenario: imagine you’re in a meeting and you need to open up an important document last minute or you even need to share it in live time with a client. Instead of scrambling to retrieve the information coming off as distracted and unorganized to your colleagues and clients, simply use one of these search functions and you’ll have the information readably available in seconds ready to send to the client through the integrated communication app you’re using. Did someone send you an email to the wrong address? Simply click the “from” dropdown in the “compose” window when responding and send it from any other account you manage. Best of all, your previous conversation will be forwarded along with it. Sent the wrong details in a mass email? Don’t worry. With the unsend email function, you can delay the email for up to two minutes to catch your mistake and fix it. You no longer have to worry about awkwardly, sending another email back to every single contact apologizing for the mistake. This handy feature will certainly save you any future embarrassment and keep you on your A-game! Did we mention you could view all your emails in the order they were received, across all your accounts, with Mailbird’s built-in Unified Inbox? 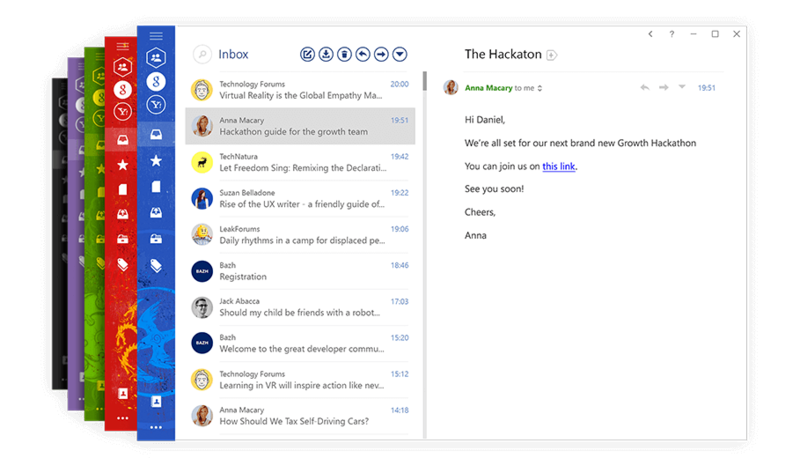 It even allows you to group emails together as conversations. Seriously, if you need one reason to move your Gmail to Mailbird, this is it. Answering emails across multiple accounts has never been easier. We could cover all the reasons why Mailbird is the perfect Gmail for Windows app out there, but why not just give it a try. It’s free to download, and you don’t even need your credit card! Connecting all your Gmail accounts is a breeze, and you can get started in as little as 3 minutes. Trust us, you’ll love this smart, easy and intuitive interface. Email will become a breeze! Editor’s Note: This post was originally published in January 2016 and has been revamped and updated for accuracy and comprehensiveness. 26 thoughts on "Gmail For Windows: Here’s a Better Way in 2019"
Hey, Thanks so much for your awesome feedback, we really appreciate it. we hope to welcome you back to Mailbird some day and will keep working on making it perfect;-) Have a wonderful week and all the best. I have tried everything possible and Gmail will not allow me to put my Gmail accounts into Mailbird. Plus Mailbird will not sync the calendar with my Hotmail accounts, so the calendar is blank. I want to have my Gmail accounts and my appointments in one app, so I have to go searching for another email app. Your app seemed to be so good, but it is worthless to me if I cannot do what I need to do. Mailbird half-baked. I want to love Mailbird it looks good but still missing so much! Mainly the Contact section is terrible. You can not even add a photo to the contact! No address section, cant print, cant sync to google contacts. I am using Outlook and would love to switch to google apps and use Mailbird but Outlook still blows it away ( except in looks) For 2 years or more mailbird promising contact functions just look up in google search. Here is what would be nice in outlook you can time stamp notes, you can format the notes! highlight, bold text size attach a file and even links to one note! Also you can do email merges. Now this all may not matter for some but if you are in business it does! Let me know when you have all this incorporated and I will pay triple your price! Will check out when you have…. Guys, I’ve been a mailbird lifetime pro user for two years.. You still don’t have a contacts manager that syncs with google contacts and it is “on the way” for all this time.. Seriously, how can one have a half-decent email client that doesn’t sync contacts? Are you guys even serious about this thing? Thank you for the work you are doing. Keep fighting the good fight against Outlook. Wow! totally crazy! that mailbird still does not have gmail contacts sync. I would thought that it would have been the second feature after mail. Can’t have one without the other. Until then. mailbird can have every single AWESOME and AMAZING other features. but ALL of it is TOTALLY and absolutely wasted and useless. As mailbird is unusable until your contacts can be synced. Thanks! but no thanks to mailbird. So where is your Alpha? It is the only thing that prevents me from buying Pro version. Without Gmail contacts sync your app is just like hundreds of others. No use. Its just a matter of days actually. :-) Would you like to join our Alpha testing program or do you prefer to wait for the tested, public version? I’d like to join. Where can I do it? The product managers at eM Client know this. I’m an advanced Gmail user, never had the need for offline, desktop Gmail client. Until now. I’ve read (almost) all the feedback of (almost) all the Gmail clients and I’ve decided to go with mailbird if I’m able to join THE ALPHA TEAM, to test the contact manager. How can I do that and how long will it take? It’s urgent. I’m a moron, but my tech guy (currently MIA) put me on Mailbird, which is generally good, although I’m sure I’m underusing. However, yesterday it just stopped working–no emails. My internet connection is fine, and I’m too stupid to know what to do. Hey Janet, Thanks so much for reaching out. 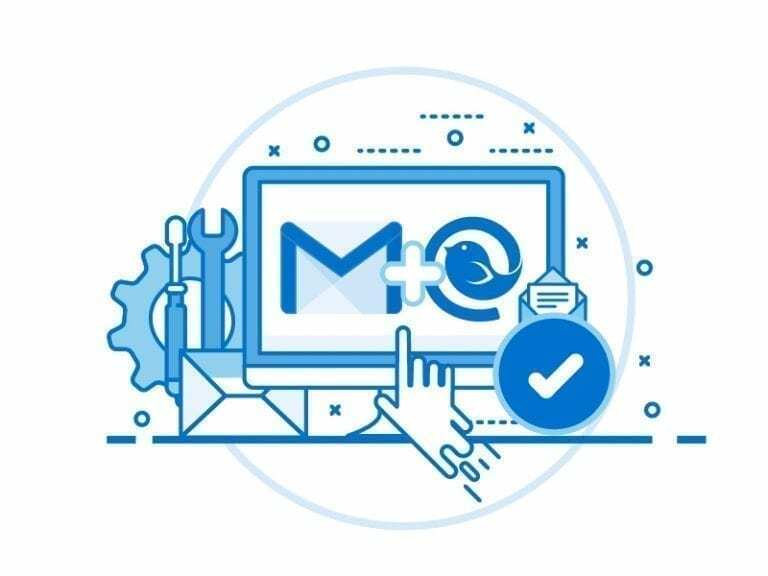 I can guarantee you are not a moron:-) some Mailbird related questions are difficult to answer and that is why we have our support team to help you;-) Just shoot us an email to support(at)getmailbird(dot)com and we will help you fix the issue asap. 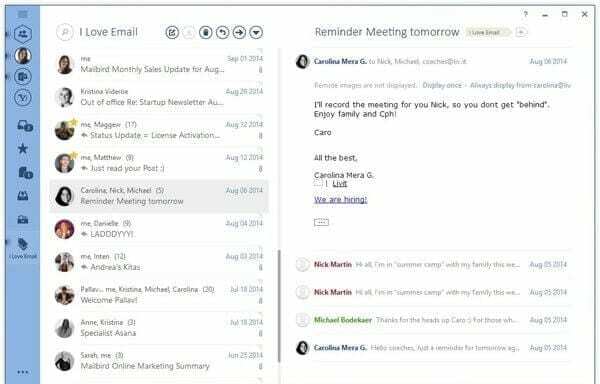 New Mailbird contact manager with sync for Gmail and Outlook hit today! FINALLY!!! Thank you Mailbird!! I started using mailbird with gmail account, I want to limit te number of messages that the client downloads, because I have thousands of emails and I don’t want all of them locally.